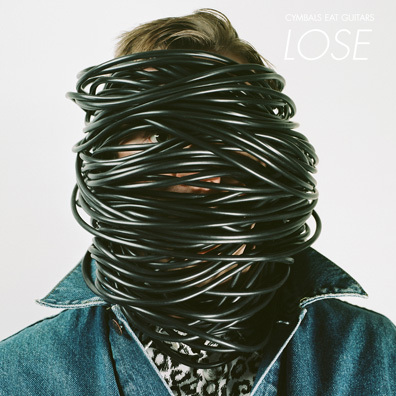 As Cymbals Eat Guitars further shape the band's sound, the quartet manages to strike a balance between radio-friendly material and experimental urges with LOSE, their third album. And for their first LP since 2011's Lenses Alien, it seems likely that the strength of the tracks carrying the greatest commercial potential will drive this band's fortunes over the coming year. The band swings for the fences with the first two songs. The epic "Jackson" serves perfectly as Cymbals Eat Guitars' calling card, gradually building toward its soaring chorus before launching the band even higher. Four minutes in, a ride to the finish begins with an unexpected treat of a brass break, along with a tasteful guitar solo, all amid a rising melodic wave. Ratcheting up the beat, "Warning" follows next, with singer/guitarist Joseph D'Agostino memorably noting, "And you're looking mighty ghostly, just like Bowie on Soul Train." It's another track where John Agnello's production shines (he also handled Lenses Alien), as he colors a rock tune while drawing the band's personality closer to the surface without obscuring it. "XR" ditches the widescreen reach of the opening tunes for a high-speed romp that sounds a bit like The Pogues tinted by harmonica rather than tin whistle, and with thicker guitars. Here, D'Agostino considers the little things that link you to another person: "We watched Faces of Death and we regretted it."